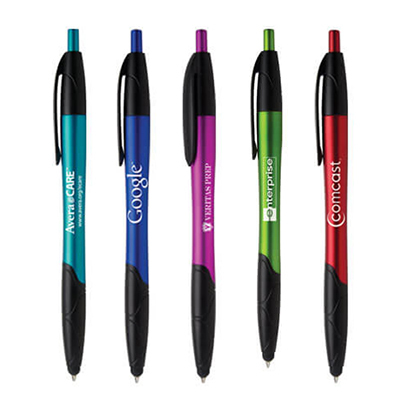 Make an impression they won't forget with the promotional Janita Metallic Stylus Ballpoint Pen! 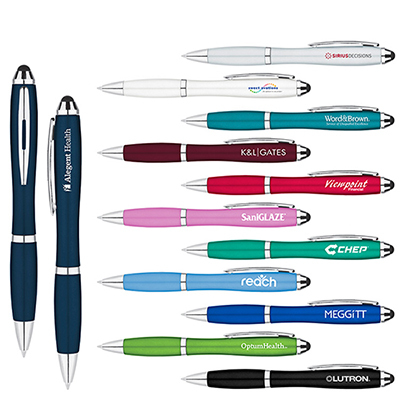 The promotional Janita Metallic Stylus Ballpoint Pen is the perfect blend of style and functionality! 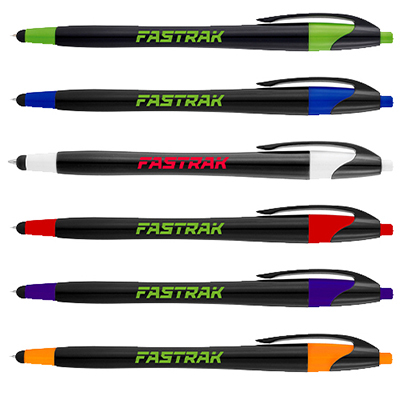 Distribute these at a trade show or conference and your brand will get the much-needed attention. The recipients can use it with their touchscreen devices and keep your brand in sight for a long time. Place an order to make a bold statement today! Contoured barrel with patterned black accents!